Bilal, S. The EU trade policy approach to human rights and sustainability: The case of EPAs. GREAT Insights Magazine, Volume 5, Issue 6. December 2016/January 2017. In promoting sustainability and human rights dimensions through EU trade deals like EPAs, dedicated attention must be paid to institutional settings, dialogues, review & monitoring, aid and accompanying measures. The adoption of the 2030 Agenda for Sustainable Development at the United Nations (UN) in New York in September 2015 and of the Paris Agreement in December 2015 has put the sustainability and climate change ambitions and concerns at centre stage of the international agenda. International trade is recognised as an important means of implementation to achieve the sustainable development goals (SDGs) and specific targets. For a long time, the European Union (EU) has been committed to the promotion of human rights and sustainability, including in its international relations, and has been a strong advocate of the SDGs. To which extent is it reflected in its trade policy, and in particular towards the African, Caribbean and Pacific (ACP) countries with which it has concluded economic partnership agreements (EPAs)? Sustainability has been an explicit core element of the European Union internal policy since 2001 – with its Communication on ‘A Sustainable Europe for a Better World: A European Union Strategy for Sustainable Development’ – and of its external policy since 2002 – with its Communication ‘Towards a global partnership for sustainable development’. 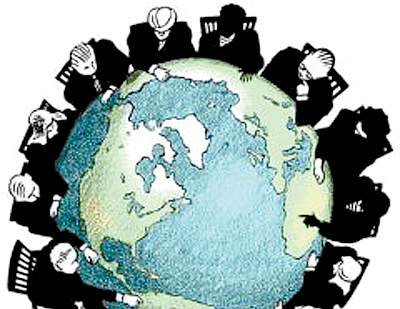 Later, with the 2005 European Consensus on Development, sustainable development became an overarching objective for the EU and its member states. The 2009 Lisbon Treaty on European Union further elaborated what those principles should be and enshrined human rights and the three traditional dimensions of sustainable development (economic, social and environmental) as guiding principles for the EU international activities. The EU has also an obligation to comply with human rights in its external policy, as well as to the entirety of international law. In fact, human rights clauses in EU policy have found some of their origins in the EU partnerships with the ACP, as articulated in the Lomé Conventions and the succeeding Cotonou Partnership Agreement signed in 2000. In the context of its trade policy, human rights and sustainability dimensions are taking different forms. However, it is important to remember that in the EU approach, trade policy is not intended as a single, isolated means of addressing human rights and sustainability concerns, but is to be seen as part of the arsenal of EU tools (e.g. initiatives, policies, institutional frameworks) to address them, and should thus operate in close coordination and synergy with these other approaches. 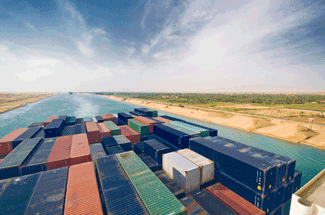 The EU adopted different tracks in addressing sustainable development in trade agreements. The approach has evolved over time, shaped by particular circumstances in partner countries or on specific areas that were subject to challenges. Trade agreements signed after the Lisbon Treaty have specific clauses on ‘sustainable development’ where the general contours of what parties understand by the term are defined. Reference is often made to internationally agreed declarations, principles and agreements such as UN Charters and Conventions, the Cotonou Agreement, Millennium Development Goals (MDGs) declarations and now the SDGs, and standards set by the International Labour Organization (ILO). The 2015 EU Trade for All strategy puts a strong emphasis on sustainability, next to the objective of promoting business opportunity to deliver growth, employment and innovation. Accordingly, its trade policy should contribute to promote European and international values, fostering free and fair trade, social justice, human rights and high labour and environmental standards. In the words of European Commissioner for Trade Cecilia Malmström: “Trade policy cannot just be about economic value. It must also be about the fundamental values that make up European identity, like respect for human rights, labour rights and the environment. And it’s not just about protecting those values at home. But about projecting and defending them around the world.” (Meeting with Eurocities, Milan, 18 November 2016). 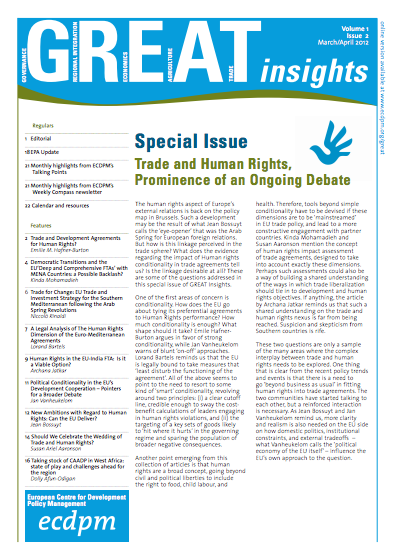 Human rights and sustainability clauses have thus increasingly been introduced in the EU trade policy regime, in its general system of preferences (GSP) and its free trade agreements (FTAs). (vii) EU FTAs with developing countries, as in EPAs, are also accompanied by development cooperation and capacity building support to facilitate the implementation of the agreement. It is also worth noting that in its trade negotiation process, in order to take into account the sustainability implication in shaping its position, the EU engages in regular civil society dialogues and systematically conducts sustainability impact assessments, though the extent to which these dialogues and assessments have influenced the outcomes of the negotiations has been questioned. The economic partnership agreements negotiated by the EU with the ACP at regional levels aim to use trade as a tool for achieving development. It follows that all aspects of the EPAs are relevant in considering their sustainability and development impact. Yet EPAs, like other EU FTAs, also contain a specific trade and sustainable development (TSD) chapter. But unlike other recent EU FTAs (e.g. with Vietnam, South Korea and Canada), the EPAs with African countries in particular are less detailed on the human rights, labour, social and environmental dimensions. EPAs are enshrined in the Cotonou Agreement, which they all refer to, at least as a whole and often in more specific ways. By doing so, they explicitly, or de facto, import the sustainability, human rights, social, labour and environment commitments and endeavours of the Cotonou Agreement, which then have at least equivalent effect. However, not all of these provisions are explicit or refer to international standards and agreements. Of greater potential concern is the pertinence of the reference to the Cotonou Agreement after its termination in 2020. A narrow interpretation may suggest that these will have no legal effect once the Cotonou Agreement expires. However, the most reasonable legal interpretation is that since the parties in the EPAs do recognise and commit to the provisions of the Cotonou Agreement and its acquis, such commitments extend beyond 2020, with the CPA’s references maintaining their full legal effect. Possible challenges are unlikely to arise out of legal arbitration, and could be addressed through dialogue. Some EPAs also contain explicit provisions, referring to international standards and agreements, or specific additional commitments. The CARIFORUM EPA, concluded in 2007, is clearly the most comprehensive EPA, including in terms of its coverage of sustainability and human rights issues. Somewhat surprisingly, the following EPAs, concluded in 2014 with the East African Community (EAC), the Economic Community of West African States (ECOWAS) and a group of countries from the Southern Africa Development Community (SADC), have been less thorough, including in their sustainability and human rights provisions. One possible explanation is that the partners have focused first and foremost on reaching an acceptable deal for all, concentrating on key substantive provisions of the agreements by the EU self-imposed October 2014 deadline. This arguably sub-optimal outcome has raised concerns among some stakeholders, in particular among civil society organisations, trade unions and members of (European) parliament, who critically view the recently concluded EPAs’ inability to meet current EU standards and practice in FTA negotiations and live up to the ambitions of the 2030 Agenda and the new European Trade for All strategy. EPA institutional framework: any issue arising from the implementation of the agreement, including on human rights and sustainability dimensions, can be addressed in the partners’ joint institutions. The EPA Consultative Committee can play an important role in this respect. Review and monitoring of the EPAs, as foreseen in EPAs provisions, should be carried out thoroughly, with appropriate tools and mechanisms covering all sustainability dimensions. Development cooperation chapter of EPAs should lead to effective accompanying measures ensuring EPAs positive contribution to sustainability and human rights. Rendezvous and revision clauses allow for the future extension, strengthening and adjustments of some of the EPA provisions, including in terms of sustainability and human rights commitments. consider rendezvous and revision clauses as an opportunity to negotiate an update and strengthening of the human rights and sustainability provisions of the EPAs. 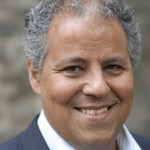 Dr San Bilal is Head of the Economic Transformation and Trade Programme at ECDPM, and editor of GREAT Insights magazine. 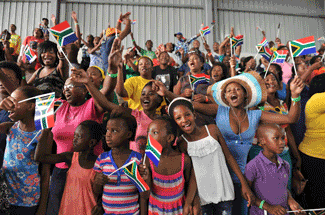 Photo: Human Rights Day celebration, 21 March 2013, Mbekweni, South Africa. Credits: GCIS, via Flickr.com.